Kids find their creative outlet in all manner of ways. Of my four kids, I have one who draws, one Lego fanatic and one box-construction whiz. Which leaves my eldest son. He likes Lego, drawing and box construction well enough but until we saw him in action with a simple electronics kit, we hadn’t appreciated what really sparks his imagination. Introducing LittleBits, an ‘open source library’ of electronic modules that snap together with magnets. 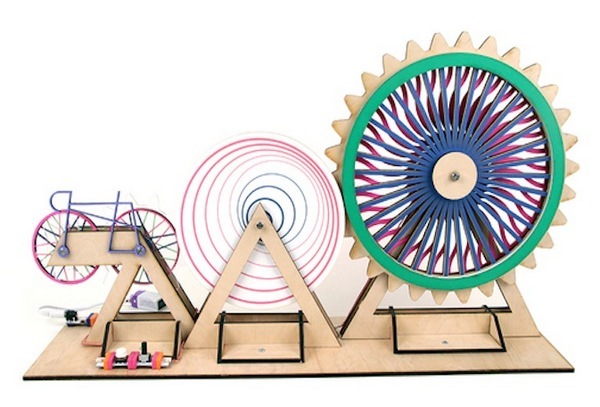 In other words, LittleBits turn problem-solving and technology skills into build-you-own big-time fun. LittleBits provides kids with all the pieces they need to create electronic projects or their own inventions. 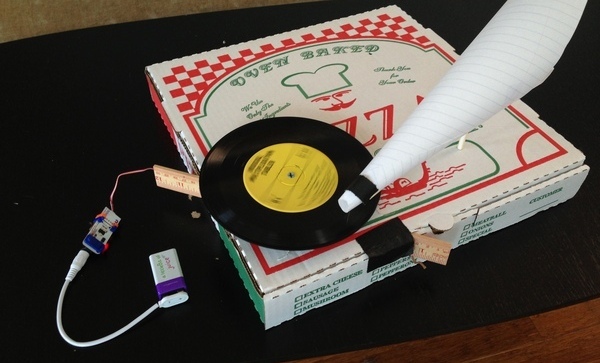 There are lots of projects detailed on the website to get you started from a simple lantern or a cool ‘pizza box’ record player to the more complex Ferris wheels and the space command capsule. Buy what you need in individual bits or get set up with a LittleBits Starter Kit. The Starter Kits are a good way of introducing kids to the basic principles of electronics design – once they get going, they’ll have plenty of ideas for their own projects (my son is dreaming up a complex alarm system for his bedroom door – according to him, there will be flashing lights and wailing alarms). 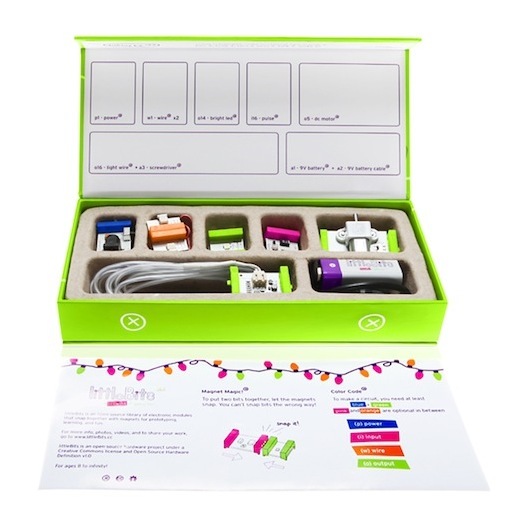 The LittleBits pieces are cleverly colour-coded to introduce kids to the basics of electronic design. For example, every project needs a blue bit (a ‘Power Bit’) to provide the ‘juice’ to get the project running. Have visions of a huge, sprawling project? You’ll need lots of orange bits, or Wire Bits, to help you extend and branch out. There’s heaps to learn and heaps of fun to be had. Starter Kits are priced from US$49. LittleBits ship internationally.